Wolfgang Vondey and Martin William Mittelstadt, eds., The Theology of Amos Yong and the New Face of Pentecostal Scholarship: Passion for the Spirit, Global Pentecostal and Charismatic Studies 14 (Leiden: Brill, 2013), vi + 270 pages. 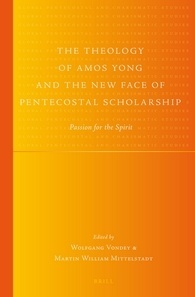 Amos Yong has contributed an amazing amount to Pentecostal theology. In fact, it is hard to understand how anyone with actual teaching duties could possibly produce so much, and on so many different subjects. 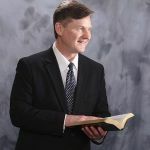 By putting together a volume of stock-taking essays, Vondey and Mittelstadt are not just honoring a deserving scholar, but giving due attention to an important body of work for the Pentecostal scholarly community. This book brings together thirteen new essays, plus an introduction and an epilogue, all looking at aspects of Yong’s contributions. In addition to the editors, contributors include L. William Oliverio, Jr., Christopher A. Stephenson, Steven M. Studebaker, Tony Richie, Jacob D. Dodson, Jeff Hittenberger, Andrew James Carver, Mark Mann, Paraskevè (Eve) Tibbs, and David A. Reed. 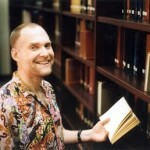 The late Ralph Del Colle was to contribute from the Roman Catholic perspective. As far as I can see, and judging from the very long bibliography of Yong’s works, the editors have managed to cover all the major areas of Yong’s research. 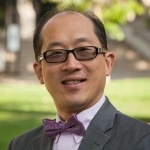 Some of the essays are primarily introductions to Yong’s work, tracing his line of thought on issues like the role of Scripture in theology, “the pluralism and dissolution of late modernity”, the “theology of disability”, or “the theology and science dialogue”. One essay even has to do with film. Other essays represent a view from the outside, so to speak, reactions from those whose views don’t overlap with Yong’s in any obvious way. There is also an ecumenical array represented in the contributors. It is clear that all the writers are either fans of Yong or appreciative of his work, but the essays are never uncritical, even where they are most approving. It should be said, however, that given the progressiveness of much of Yong’s work, it would not have been difficult to find someone who could have provided more fireworks. For example, reactions to Yong’s view of the Spirit’s relation to non-Christian religions have been predictably intense, and a response from someone representing that intensity would have made for rather fun reading. The quality of the essays in this volume is consistently high. This, along with the importance of Yong’s work, makes for a worthwhile contribution. 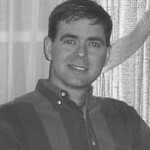 About the Author: John C. Poirier, Th.M. (Duke Divinity), D.H.L. 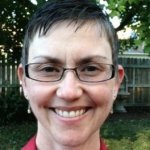 (Jewish Theological Seminary), has published numerous articles on a wide range of topics and has been named the chair of biblical studies at the newly forming Kingswell Theological Seminary in Middletown (Cincinnati), Ohio.